The night kicked off with At This Performance’s youngest performer ever—11-year-old Logan Rowland from The Addams Family. He sang Pugsley’s solo “What If” with polish and confidence while his parents video taped and took pictures from the audience. Rowland told the story of his first time going on in the role—co-star Nathan Lane made an announcement to the audience during the show’s curtain call that they had just witnessed his Broadway debut. Rowland’s Addams co-stars Mo Brady and Lisa M. Karlin duetted with “Crazier Than You,” but didn’t live up to the chemistry displayed by Colin Cunliffe and Jessica Lea Patty when they sang the song last October. Brady’s solo follow-up song was a song called “I Won’t Have To Anymore.” Easily the night’s most emotional performance, Brady sang the story of a young man preparing to flee the home of his verbally and physically abusive father. Showing great emotional depth and vocal range, Brady’s performance was among the night’s most memorable. Part 2 of Ensemble Watch with The Lion King’s Ray Mercer and Jean Michelle Grier. Ray talks about his giraffe, Gus, and how he mounts the 14-foot puppet. Do you think you have what it takes to ride Gus, Rushers? Have you been to one of the At This Performance concerts? Have you taken a ride on Stew’s Brooklyn Omnibus yet? Leave your thoughts and questions in the comments below, and follow Stage Rush on Facebook and Twitter for more updates, news, and sightings! Were you as shocked as I was by Fela!’s closing notice, Rushers? Do you think the show deserves a longer run? What Fringe Festival shows have you seen so far? Did you tune in for the live broadcast of South Pacific? What kind of compromise would you suggest to get more Broadway on TV? Leave your thoughts and ideas in the comments! Theater journalist Patrick Lee, creator of Just Shows To Go You and Theater Mania contributor, passed away this week at age 47. The news brought great sadness to many in the theater community, myself included. When I think of Patrick, I think of the beginning of my passion for theater writing. Patrick was the first person I met when I set out on this journey. It was April 2009. I had just created Stage Rush and had been invited by Broadway producer and Producer’s Perspective creator Ken Davenport to attend a theater blogger meet up. It was at the Planet Hollywood in Times Square and I arrived with such a pit in my stomach, I almost turned away at the entrance. Starting this site, this endeavor, felt like a huge risk to me and I didn’t carry myself with much confidence about it. Ken’s invitation to meet up with real, live theater writers who were already established in the field was incredibly intimidating. Who was I to talk to them? Everything out of my mouth was sure to sound stupid. They’d surely laugh when I told them my site was hosted by Blogger. I sat down at a table with a platter of nachos on it. I picked at it with one hand and dug the nails of my other hand into my leg as the bloggers began to arrive, everyone schmoozing. They all knew each other—damn. And then Patrick plopped himself in a chair next to me. I turned my head to him with a jolt, as I knew some social interaction was inevitable. He smiled, introduced himself, and I instantly began to feel at ease. It might sound corny, but Patrick seemed so jolly. That’s really the word to describe how he was. He asked me about my blog and as I talked, he continued to ask follow-up questions. He wasn’t looking at me with disgust—he was interested! I told him I was so proud of myself, because I hadn’t even lived in New York for a year yet and I had already seen 40 shows. Patrick looked at me with a big smile and said, “I see over 200 a year!” But he wasn’t mocking me; he was laughing at the hilarity of it. We both had a big laugh. As we talked, we discovered that we both loved Spring Awakening, John Gallagher Jr., and Passing Strange. He told me that he had tickets to a screening of the Passing Strange movie and I pretty much wanted to gouge his eyes out, I was so jealous. I went home that night feeling more confident about my new project, all thanks to Patrick. That theater blogger meet up lead to the formation of the Independent Theater Bloggers Association (ITBA), for which Patrick served as awards director. When the ITBA was deciding on nominations for this year’s awards, we met at a Hell’s Kitchen pub to discuss candidates. It was a Broadway nerd’s dream—sitting at a table with a group of people with the same interests, discussing who gave the year’s best performances and arguing about them. Patrick was so funny that day. He kept inserting his humorous, sarcastic opinion, then pulling back, because he was moderating the meeting and it was obvious that he was trying to be democratic. But I am lucky that that was not my last meeting with Patrick. A few weeks ago, Patrick asked me if I would help him film the off-Broadway cast of The Kid reading the winners of this year’s ITBA Awards. We sat there at Theatre Row with Susan Blackwell and Ann Harada and Patrick just got along with them so well. I envied his ease and calming nature. After we filmed, we talked shop for a while outside the theater. He answered a lot of burning questions I had about the theater-writing field. I remember being so grateful to get that time with him. We shared laughs and had a really good time with that errand for the ITBA. We left that night saying we’d meet up for coffee soon, but we didn’t get the chance. Patrick’s passing is a strong reminder to me that we all have to harness the joys of life while we still have it. 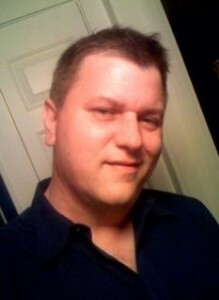 Patrick loved theater and was passionate about LGBT rights. In his life, he made quite a mark in both worlds with his own theater site Just Shows To Go You, his bylines for Theater Mania and other sites, and by being a juror for the GLAAD Media Awards. Patrick is an example of following your passion—a lesson we all should learn from him. On my Facebook homepage, there’s a notification that says “Patrick Lee has poked you. Poke back.” It’s from the night we first met. I never did “poke” him back. But I’m going to keep that message there as a reminder of what Patrick stood for. It just shows to go you the impact theater can have on a person’s life. Rushers, what do you think of Kevin Adams? Did you find what he had to say interesting? Did you geek out about the explanations of his designs like I did? Did some of your favorites win in the ITBA Awards? Please let me know what you’re thinking in the comments! 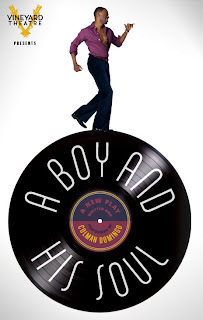 What do Spring Awakening, Passing Strange, and Next to Normal all have in common? 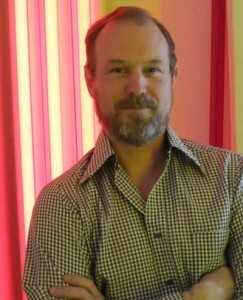 Lighting designer Kevin Adams. Widely regarded as contributing factors to the evolution of the American musical, these shows all have creative teams that have collaborated on subsequent projects, but Adams is the only one to have worked on all three. The Tony-winning lighting designer brought revolutionary looks to these acclaimed productions with his use of bare light bulbs and fluorescent tubes—what he calls “electric objects.” Now Adams is nominated for his fifth Tony award (he won for Spring Awakening and The 39 Steps) for his work on American Idiot, which blends the creative teams of all three rock musicals. The Tony winner (who keeps his two awards at his parents’ houses, claiming they make him nervous) invited Stage Rush into his Manhattan apartment to discuss Tony nominations, his style departure on American Idiot, and what happened when he first met Green Day in a cramped dressing room at Saturday Night Live. This is your fifth Tony nomination and you’ve won twice. Is it still exciting to get nominated? So you feel pressure to win? Hey Finian, shut up and sing! When I make a playlist, I mix in songs from Broadway musicals right in there with my circa-1995 soft rock. To me, they’re no different, and just as motivating while cleaning the apartment or working out. So when I’m in the groove, there’s nothing more irritating than when dialogue interrupts the music. 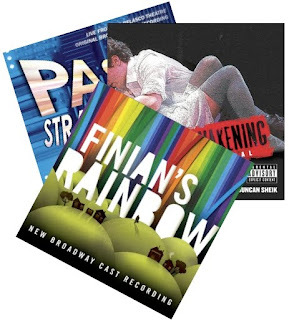 The cast recording of Finian’s Rainbow is going to annoy me to no end. The album for the excellent, gone-way-too-soon show was released yesterday, and today I downloaded three songs from it (I loved the show as a whole, but didn’t want the entire album). “How Are Things In Glocca Morra,” “Look To The Rainbow,” and Old Devil Moon” all have introductory dialogue leading into the music. I’m sure the majority of the tracks have incorporated dialogue—perhaps someone can let me know if I’m right or wrong in the comments section below. 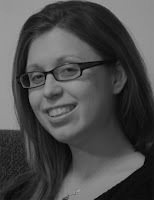 Editor’s note: In the spirit all the exciting changes that are occurring with this blog, it is my pleasure to present Stage Rush’s first guest blogger, Kym Formisano. When Jesse asked me to be the very first guest blogger for Stage Rush, I cannot deny the wave of complete and utter fear that washed over me. I certainly questioned his sanity briefly; after all, handing Stage Rush over to little old me is akin to entrusting a homeless man on the subway with your firstborn. Ok, that might be a slight exaggeration. But there was a huge amount of trepidation and anxiety on my part, especially when I discovered I would also be covering the first off-Broadway play to be discussed on the blog. Gulp. As it turns out, I had little need to be so concerned. Actually, what began as a nerve-wracking trip to the always-beautiful Union Square turned into not only one of the easiest and most efficient rushes I’ve done, but also a powerful and vivid theatrical experience matched only by the energy and undying vigor of the show’s star. It’s kind of hard to write about a show and a rush that are both perfection. 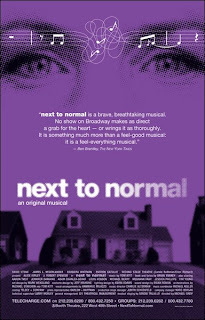 Hence, the reason why I’ve seen Next to Normal four times and am just writing about it now. The rush for Next to Normal is about as organized as a rush can get. Let this one stand as the example for all rushes. Theater employees distribute wristband numbers to the people in line (no, you don’t have to wear the wristband). This eliminates line cutting and allows people to run briefly to the bathroom or get a snack. I can’t express how many times the pals of people in front of me have joined them in line while I’ve been in place for hours. This isn’t a problem on the Next to Normal rush (just watch that it doesn’t happen before the wristbands are distributed).